Prefer a Hardtop convertible car for the best of both worlds in your driving experience? How about this 2011 Bugatti Veyron 16.4 Grand Sport. With seating for 2 this Roadster appeals to those who enjoy solo drives with room to add a favorite companion. Two doors gives the Veyron 16.4 Grand Sport a streamlined appearance that shouts fun. Make this premium Hardtop convertible car yours. Prices start at $1,985,000. If you like the Veyron 16.4 Grand Sport, check out current (and previous) convertibles manufactured by Bugatti. Hardtop roadster - nice choice! 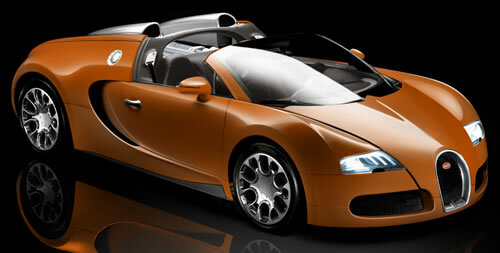 Convertibles like the Bugatti Veyron 16.4 Grand Sport make us wonder why all 2-door cars don't raise the roof.